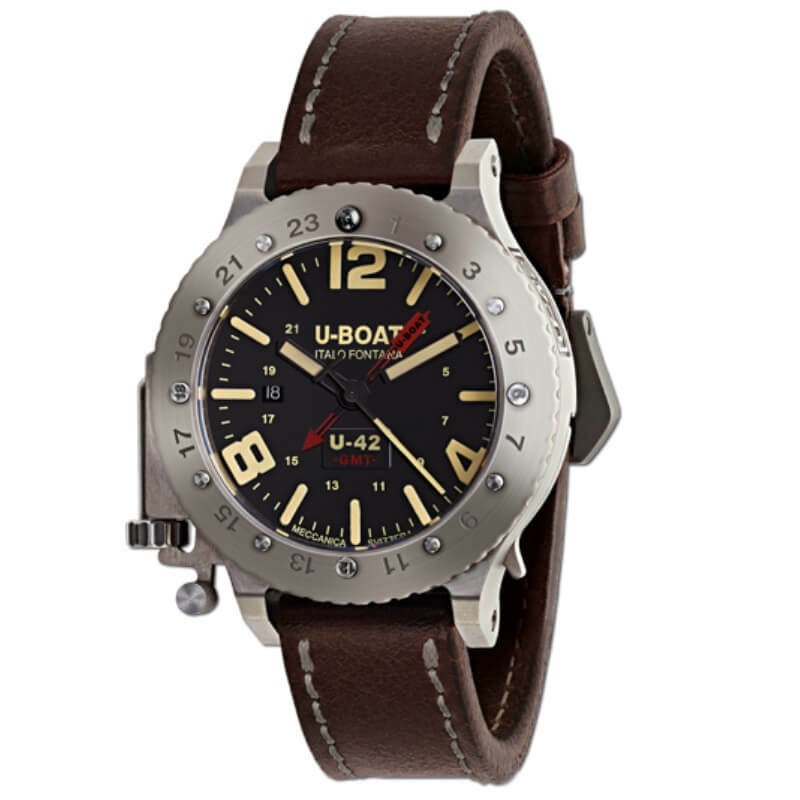 Automatic mechanical personalized to U-BOAT specifications for date display and stem to be positioned at 9 o’clock. hours, minutes, seconds, 24h, third time zone, date. 50 mm titanium case. Uni-directional rotating bezel, in titanium, lockable with a lever on the right side of the case. 12 o’clock ball indicator on the bezel made of ceramic. Titanium, fastened with six steel screws. Optic sapphire glass with blue anti reflective treatment. Matt black, markers treated with superluminova (beige color). Bâton hands, treated with superluminova. Red 24h and third time zone hands. used in the 1800’s, which give the strap a naturally distressed feel and look. Tongue buckle in titanium. Width: 23/23 mm.